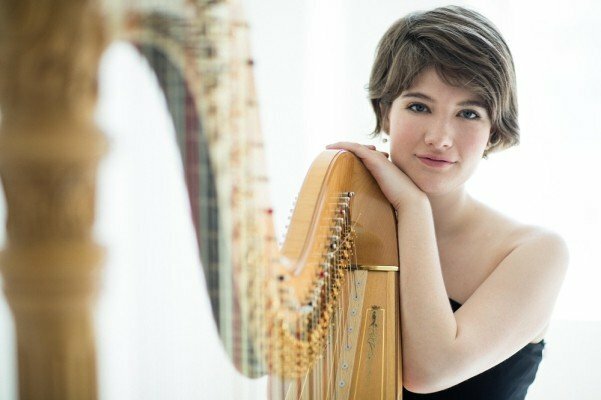 Emily Levin, newly appointed principal harpist with the Dallas Symphony Orchestra, answered these questions for the Fine Arts Chamber Players audience. 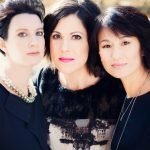 Ms. Levin, along with three other harpists, opens our Bancroft Family Concert series at the Dallas Museum of Art’s Horchow Auditorium on October 15. Doors open at 2:30 for the 3 p.m. concert. As always, the concert is free and in a family-friendly environment. The program includes work by Johann Bach, Bernard Andres, Cesar Franck, and Carolyn Lizotte. What piece on the program are you most excited about? What should audience members listen for? The harp is an incredibly unique instrument on its own, so having four harps together in one concert is going to be quite the experience! 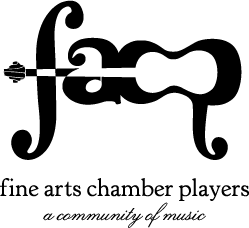 It’s impossible to choose just one favorite, because each piece is so different–the program is structured to highlight the multi-faceted nature of the instrument, with a variety of genres ranging from Bach to tango music. We’ve also chosen different combinations of quartets, duos, and solos so the audience can hear the harp both in ensemble and as a solo instrument. What do you love about chamber music? How is it different from playing in a large symphony? I love how communication, both verbal and nonverbal, is such an integral part of chamber music. Not only are you rehearsing and playing together, but also everything you do with your instrument is part of a larger musical goal, which can’t be accomplished on your own. Being able to make music with others is an incredibly special experience for me. I find that great orchestras (like the Dallas Symphony!) create a larger version of this chamber experience. With orchestra, you still have that communicative experience, and your involvement helps create that amazing orchestral sound. I try to perform a variety of genres, so it’s generally a mix of all three. This season is a lot of orchestra playing with DSO, and also some solo recitals and a few chamber music recitals (I’m in Colorado later this year for a residency with the Colorado Chamber Players.) I also love new music, and am in a new music ensemble back in New York. The harp is a huge instrument! How tall is yours, and how much does it weigh? Did you have to buy a car specifically so it could fit a harp? What’s it like moving it around? The harp, although beautiful and wonderful to listen to, does not win the award for most portable instrument! It’s about six feet tall and 90 pounds, and I’ve developed amazing arm strength from lifting it in and out of cars. Harps generally fit into station wagons, SUVs, or minivans. I currently own a Subaru—I only bought it a month ago, after moving from New York! In case anyone is wondering, harps do NOT fit into the Subaru Impreza hatchback. I learned this the hard way at an audition, and had to physically hold the back door down while my friend drove me to the hall. I made quite the entrance! In addition to playing for the DSO, you’re involved with a performance group in NYC and and perform in other cities. What’s the travel like? Do you have to take your harp from city to city? When I do travel to other cities to perform, it’s always an adventure finding a harp to play. The harp world is small and very supportive, so I generally rent from another harpist in the city I’m going to. Each harp is different, so there is always a bit of adjustment needed, but it is certainly better than driving everywhere! I do bring my own strings with me. So far TSA has not tried to confiscate them. How old were you when you started playing the harp? Why did you choose the harp? I was five years old when I started the harp. My dad would read me bedtime stories every night, and one night he told me the story of David playing the harp for Saul. I went to my mom the next day and announced that I, too, was going to play the harp (I was four years old at the time.) She had me on a waiting list for cello lessons, and it took me almost a year to convince her that I preferred harp to cello. What type of music did you listen to as a kid? I listened to a lot of classical music growing up, and I think it instilled early on a love a classical music. We went to a lot of concerts, orchestral and solo, and I fell in love with the performance aspect. There is something so special about live music! Who’s your favorite composer to listen to? To play? Ooh, that’s a hard one! I love listening to Brahms symphonies, especially because there is no harp and so I can’t play them. I also love Mahler, and think he might be the best orchestral composer for the harp. He writes for the harp in a way that really brings out its unique voice. What’s your favorite sounds: musical and non-musical? Least favorite? My favorite non-musical sound is the wind rustling the leaves on a tree. Musically, it might be the sound of an orchestra tuning. My least favorite sound is the painfully loud sirens that pass you on the streets of New York, or the sound of chewing. Once you leave this world and reach the pearly gates, what celestial concert are you looking forward to? I will have front row seats to Simon and Garfunkel. Hopefully they won’t mind me singing along.